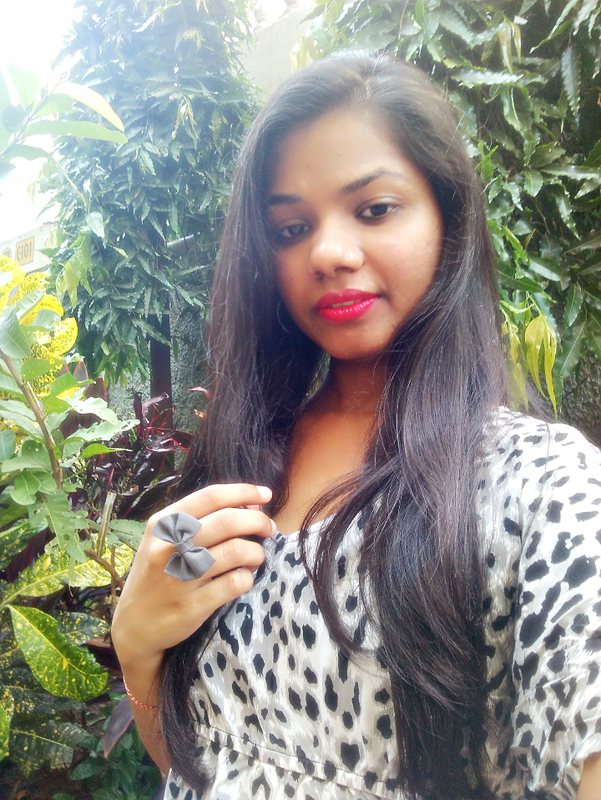 I know i have been MIA from the blog for quite some time now thats because i wasn’t keeping well. Now i am feeling a little better and its good to be back in action.I have a lot of posts pending so expect back to back blog posts from me. So after being back in action the first thing that i decided to review is sheet masks from Skin18.com I tried out 2 sheet masks, both from different brands. One from Luke and the other from Beauty FriendsII. 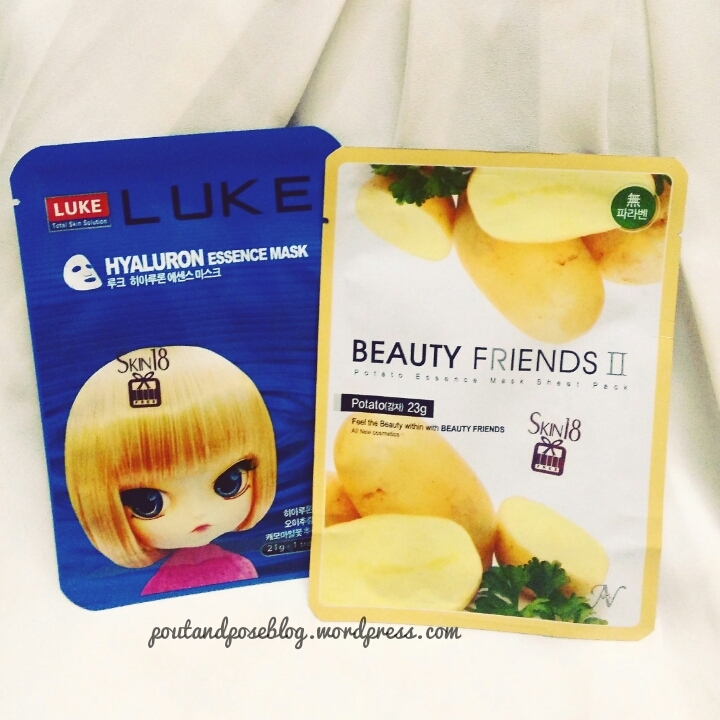 Beauty Friends II potato essence mask- I decided to try the potato mask first since i wasnt familiar with the other one. 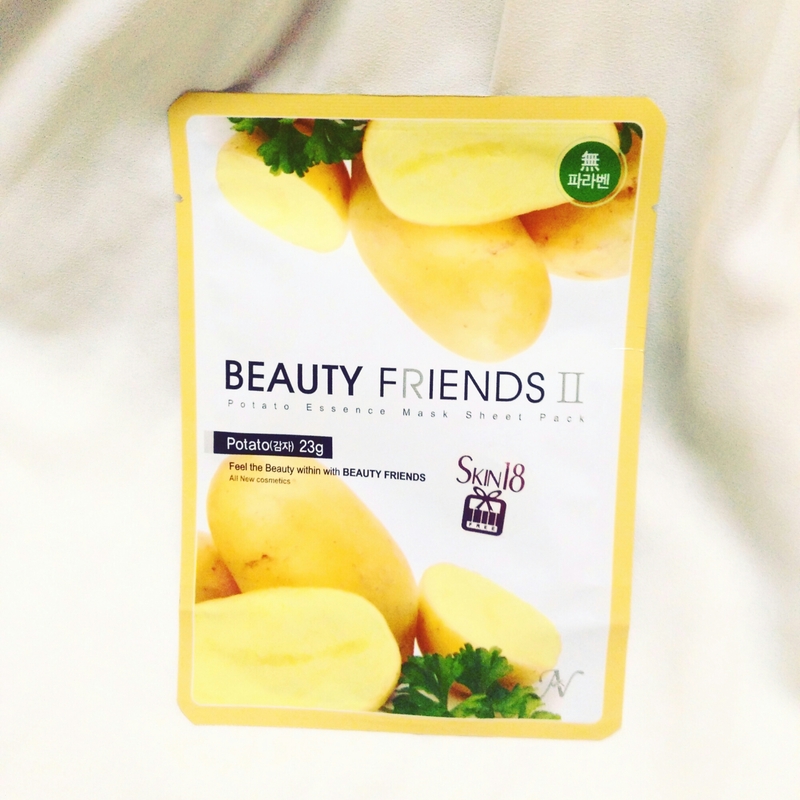 This potato mask is from brand Beauty Friends II. Just so that you now there are 22 types of masks from Beauty friends. One of then being Potato Essence Mask. This Potato Essence mask contains potato extracts that helps the skin absorb nutrients which in turn helps to deeply moisture the skin. It helps to repair damanged and rough skin. Also helps in getting rid of dark and puffy areas. My Experience: The pack contains a single sheet.Unlike other sheet masks that i have used this one wasn’t overloaded with essence. I applied on the face and kept it on for 15mintues. I did not notice and irritation while the mask sat on my face. After 15 minutes i decided to take off the mask. After taking off i massaged the excess essence into my face. You dont need to wash the dace after removing the mask. That’s the best part of these sheet masks. My skin felt softer and highly moisturised. My face was looking so fresh and bright. 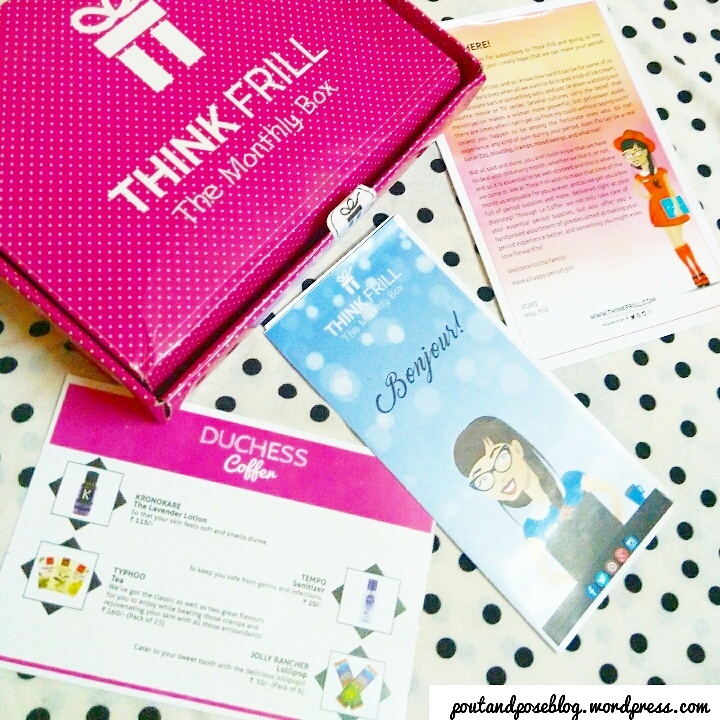 It helped me get rid of dullness. This sheet mask has now become one of my favourite. Apart from this aloe soothing mask from Four seasons and Moisturising cucumber pack from purederm are my extreme favourite. 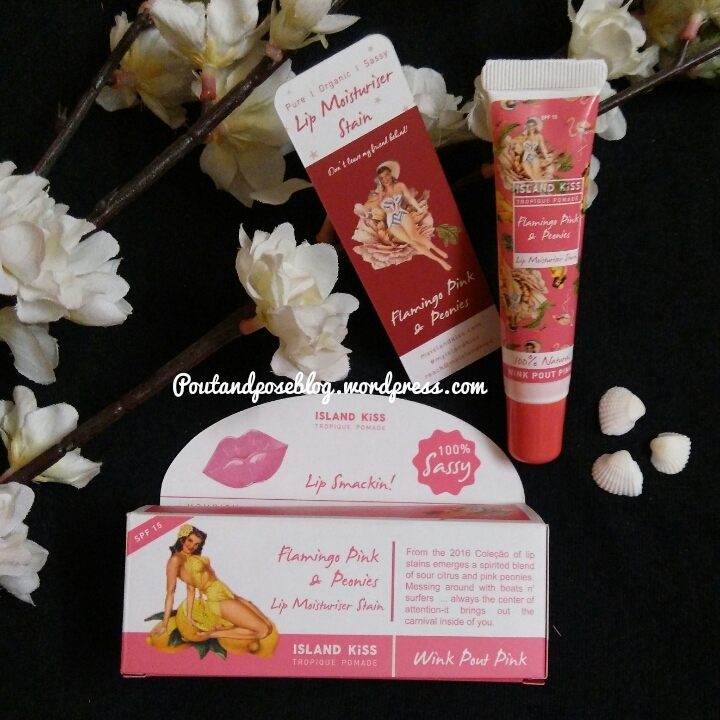 You can buy this Potato Essence mask from HERE Trust me you are going to love this one. 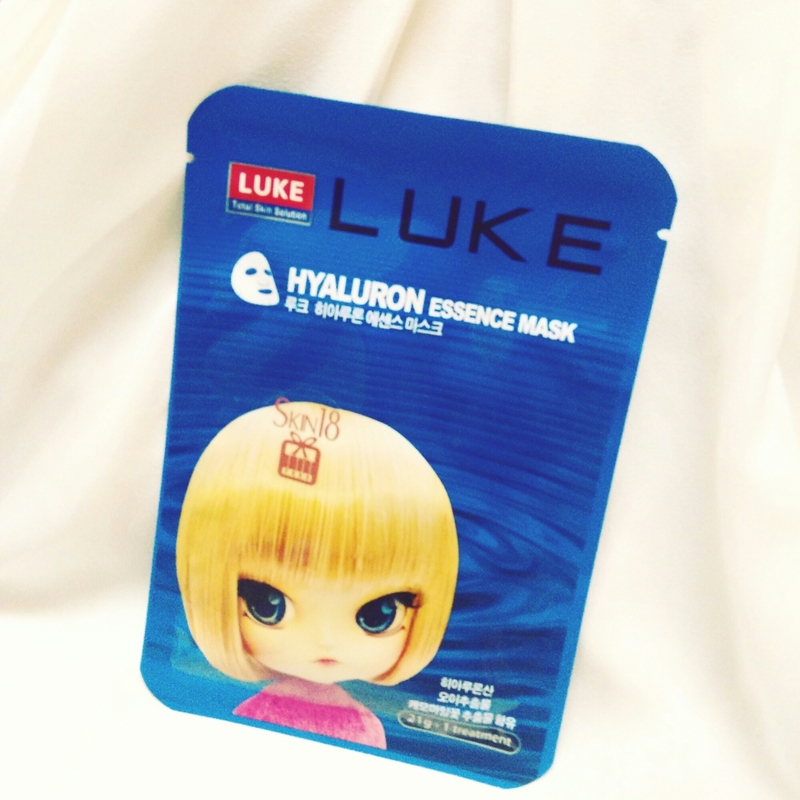 Luke Hyaluron Essence Mask- The next sheet mask that i tried is hyaluron essence mask from Luke. Honestly i had no idea what i was putting on my face. I dont know what hyaluron means. So before using i decided to google the same and what i read is that its a hyaluronic acid which is used as a ingredient in many facial creams. That it has great restoration properties & can boost skin’s moisture content. 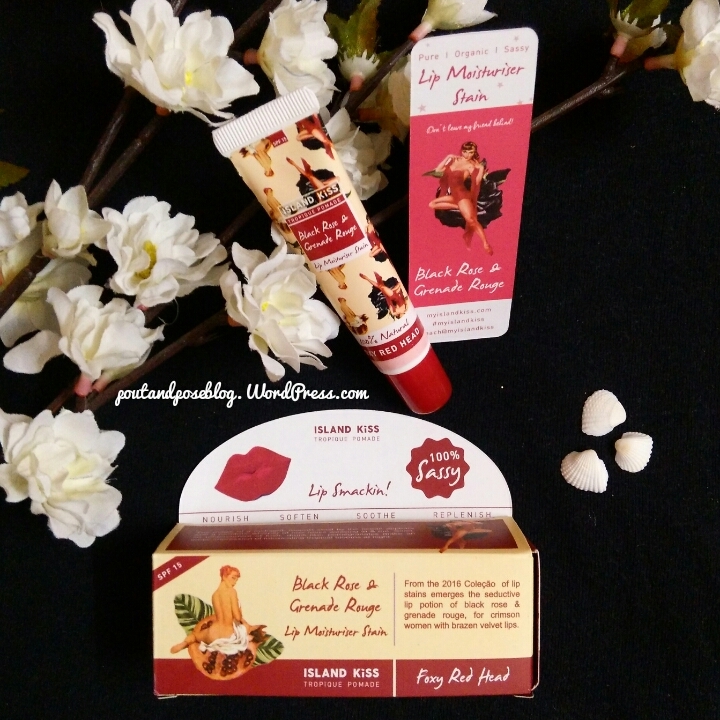 It also helps in lubricating skin layers making skin smoother and softer. So thats all for now. If you ask me which mask you should go for i would definitely recommend the potato one. So i hope you have read the introduction. Now lemme start with the review. 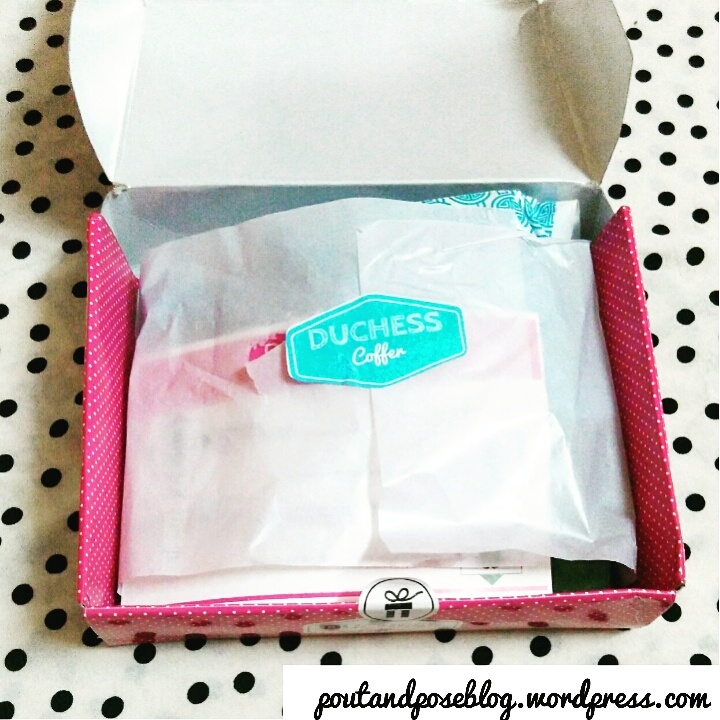 Duchess coffer is the first among the three subscription boxes. This is the coffer for all the minimalists out there – no frills or overly fancy additions. 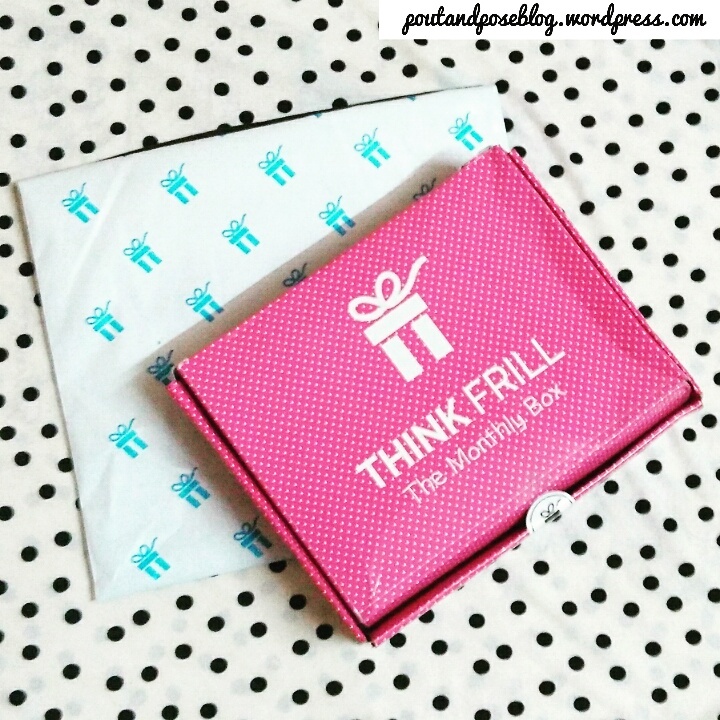 Just the simple menstrual care box. The Duchess Coffer box is pink in colour and has polka dots design on it.The box material is cartoon. The box looks very pretty and girly. Sure to drive away your period blues. Now as you open the box you can see the contents of the box neatly packed with a butter paper. Kronokare Lavender Lotion- Kronokare products are amazing. Being SLS and paraben free the lotion is going to make you look & feel great. 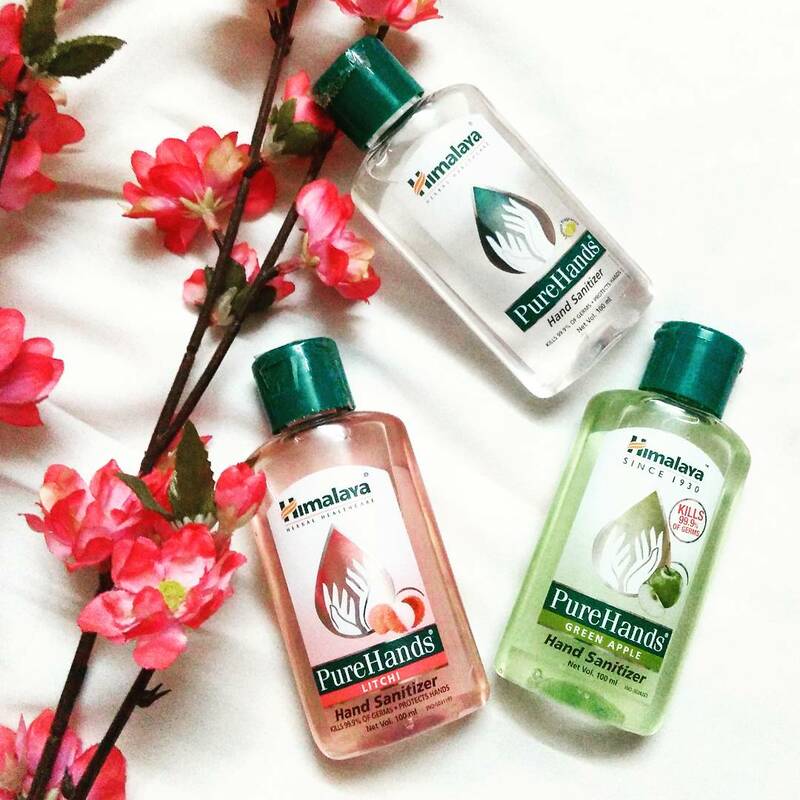 Its floral scent will help you relax all throughout the day. Tempo Sanitizer- Keeping your hands clean is very important not only during periods but other times also. 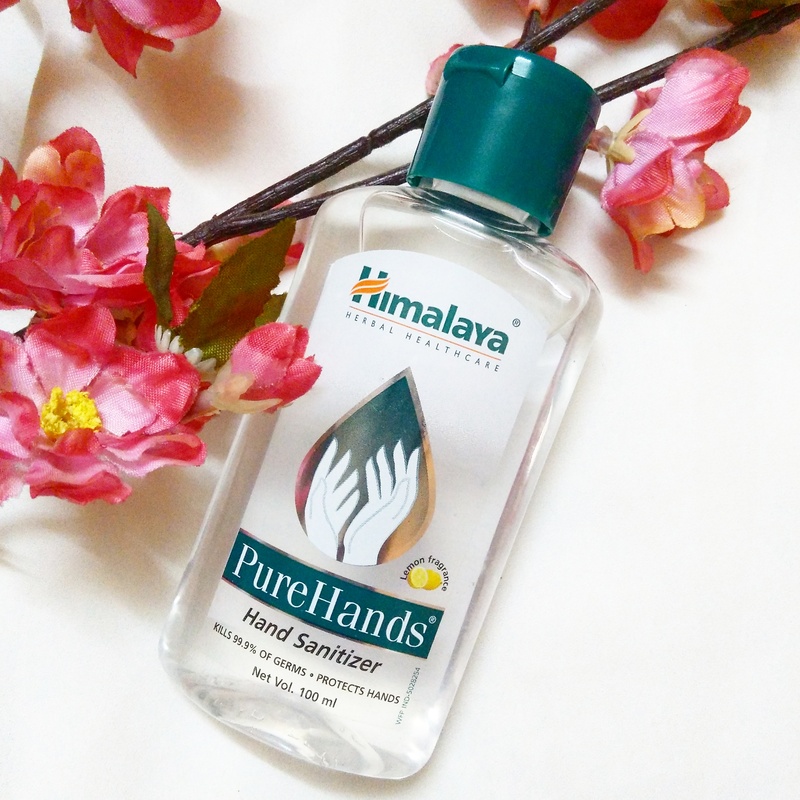 This sanitizer can be of great use if you are travelling or heading out during your period. Hygiene first you know ! 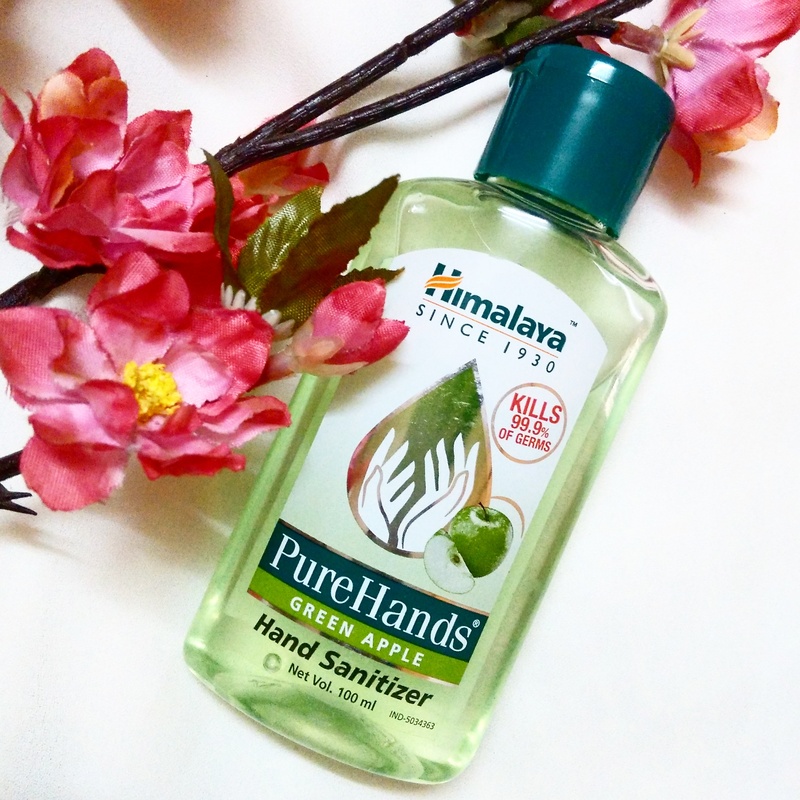 The small bottle of sanitizer will fit right into your wallet or pocket. Discount Coupons from Mac D, Dominos, Pizza hut – If you feel like pampering yourself a little more. However i really dont like this coupons. They have many restrictions. Looking at the contents i think the box is not at all costly. Its worth subscribing. 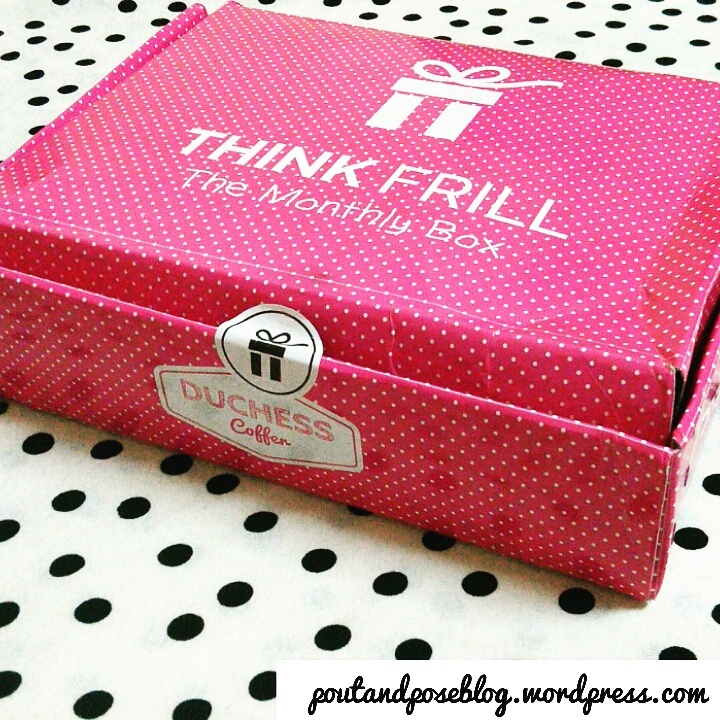 Go ahead and subscribe your box now. 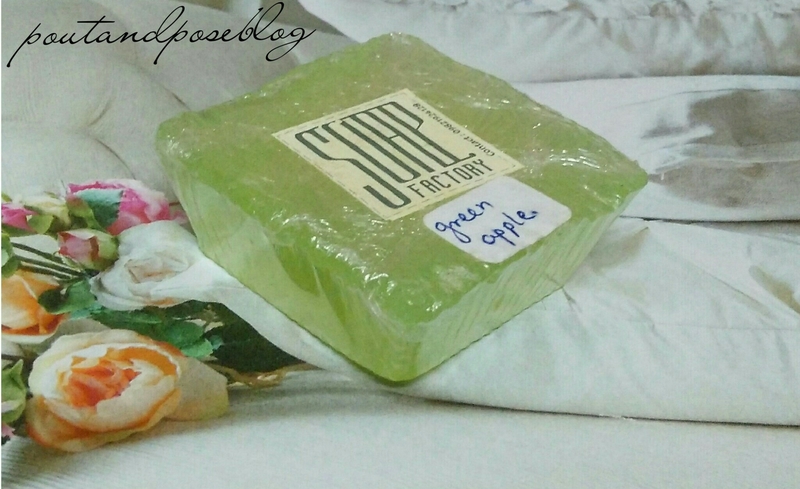 Recently i came across a brand called SOAP FACTORY on facebook which sells handcrafted soaps. I am very fond of handmade soaps especially when they look extra cute and smells wonderful. 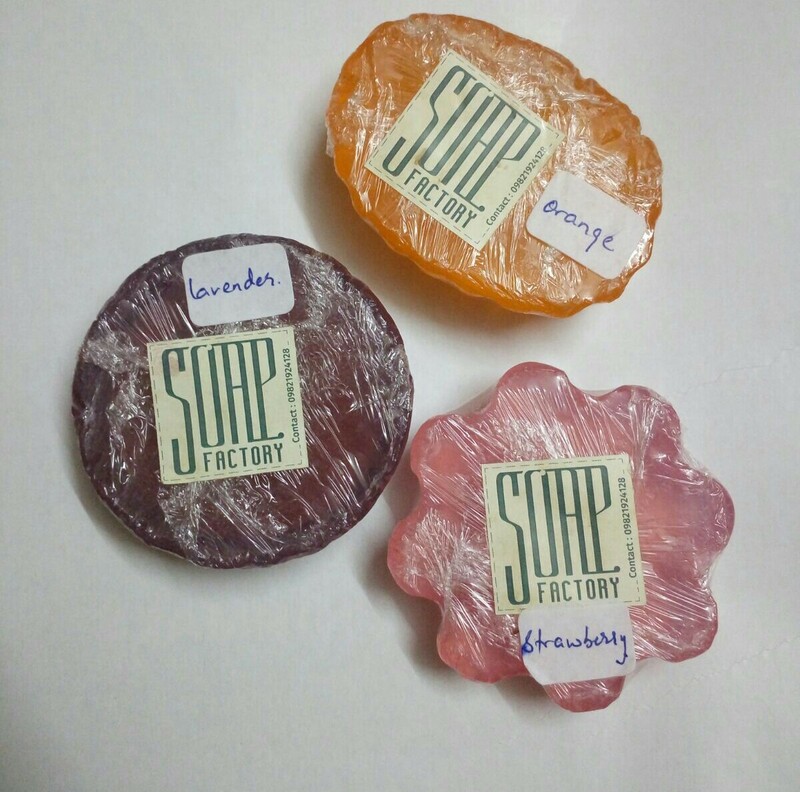 Soap Factory is a brand based in Mumbai and owned by jayshree Rukhana. They have the cutest handmade soaps in different sizes, shapes and colours. The soaps are totally free from parabens & sles. So there is less of foam. They use a lot of olive oil..castor oil…coconut oil..grapeseed oil…along with Shea butter n cocoa butter. Colors are either cosmetic colors which are skin safe…but mostly edible colors are used…due to which they turn duller if kept for long. Fragrances as well as essential oils are used wherever possible. Their price range starts from 50rs for a bar of 75gms. However prices may vary depending upon the size and shape of soaps. They also make customised soap hampers for baby showers, return gifts, wedding favours etc. Out of all these the soaps i have used Green Apple, lavender, orange & Strawberry. I am yet to use the remaining soaps. 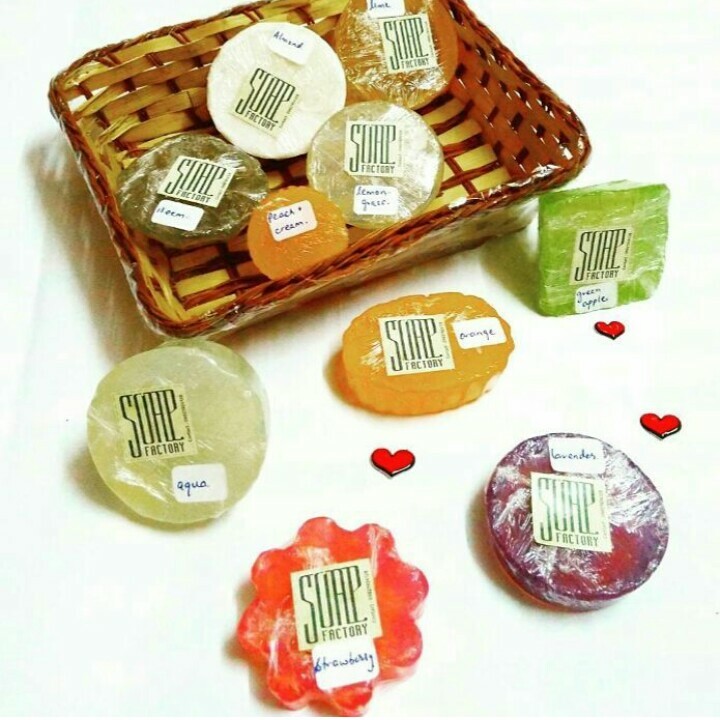 These soaps comes wrapped inside intact paper and has the brand name and the soap name written on it. No other information regarding price, weight, ingredients, expiry has been mentioned. My Experience These soap feels extremely smooth on my skin and doesn’t lathers much as it is free from chemicals. It cleanse the skin very well. It did not dry out my skin & is very gentle on skin. I kept these soaps near my bedside table and whenever i sat there i could smell their amazing fragrance all the time. Totally loving these soaps. Cracked heels are a common problem and we often ignore it. Due to which the skin around the heels becomes dry, thick & rough. It is therefore very important to keep your heels moisturized especially during winters as direct exposure to cold weather can cause more dryness. 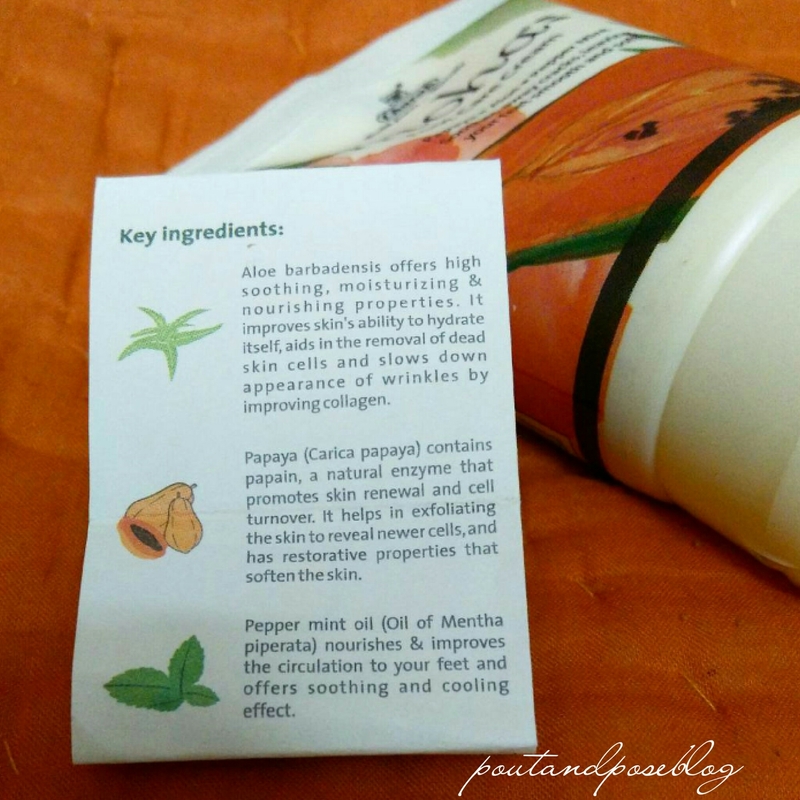 Using a footcream daily can help you prevent dry & cracked heels. One must give equal attention to foot skin as much as one gives to face skin. 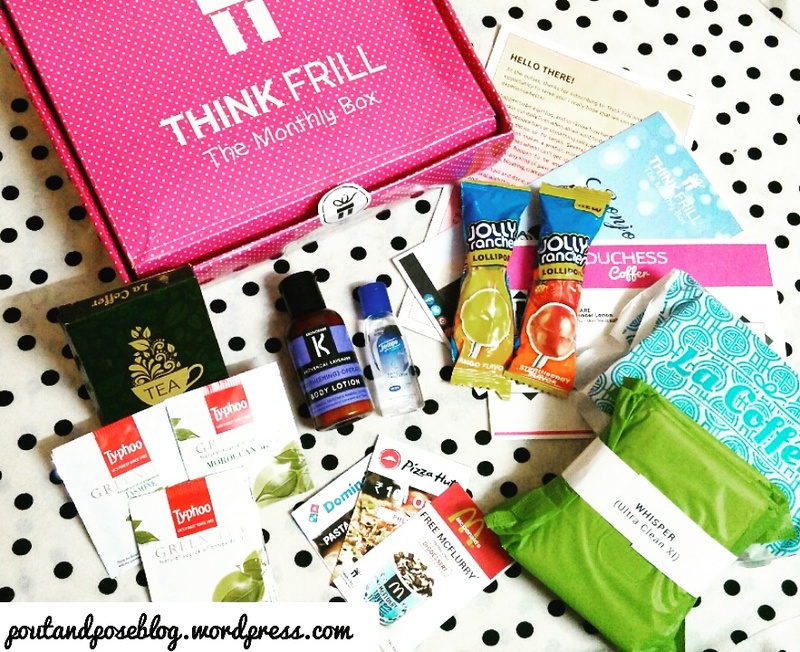 If you want to have instant results on your cracked heels then this post is for you. 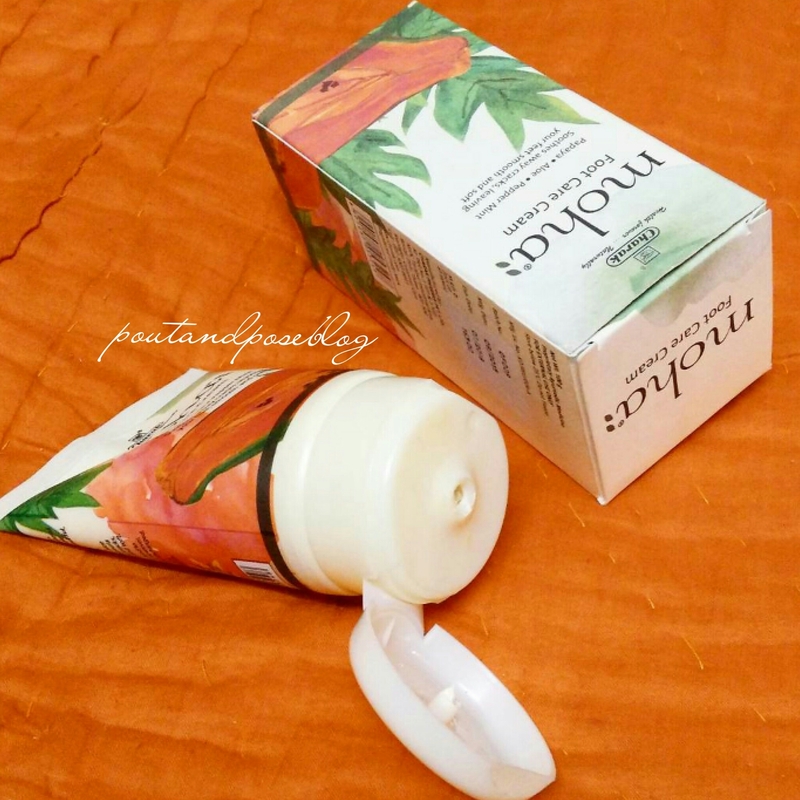 Packaging: The cream comes inside a squeeze tube with a flip cap. The tube comes inside a cardboard box. The design on the cardboard box and that on the tube is of images of active ingredients in the cream. i.e papaya, aloe, peppermint. The packaging is beautiful & decent. Best before: 3 years from mfg date. Endowed with papaya & aloe gel, it luscious, creamy formula soothes away calluses & cracks, leaving your feet smooth & soft. 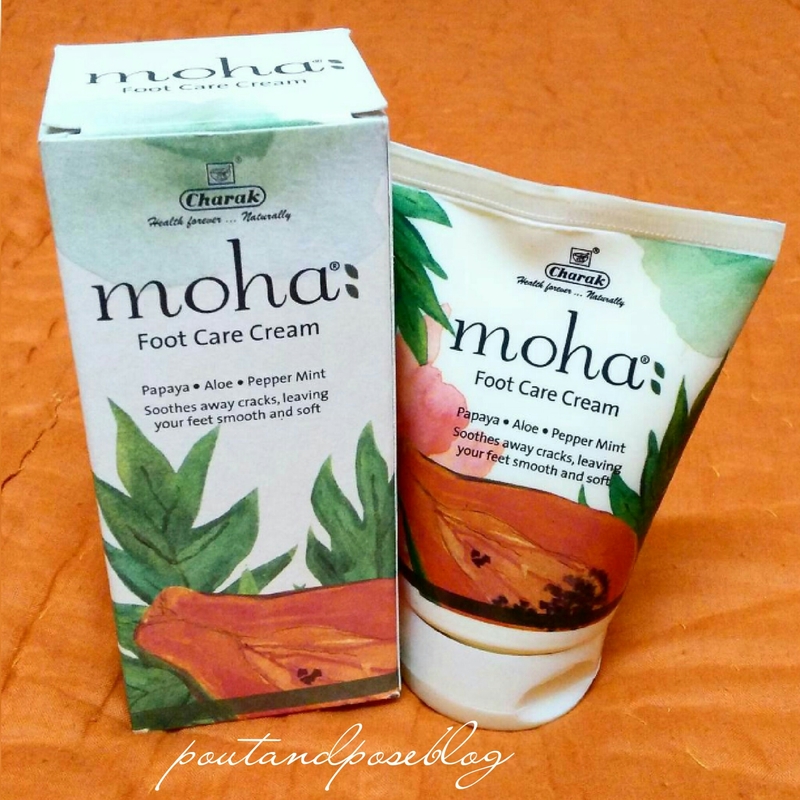 Papaya & aloe join hands to give your feet the soft texture you crave with moha’s luxurious foot cream. The cream is off white in colour & has a thick consistency & creamy texture. It gets absorbed into the skin on massaging and does not makes the feet greasy. It has a mint kinda smell which some of you may not like. 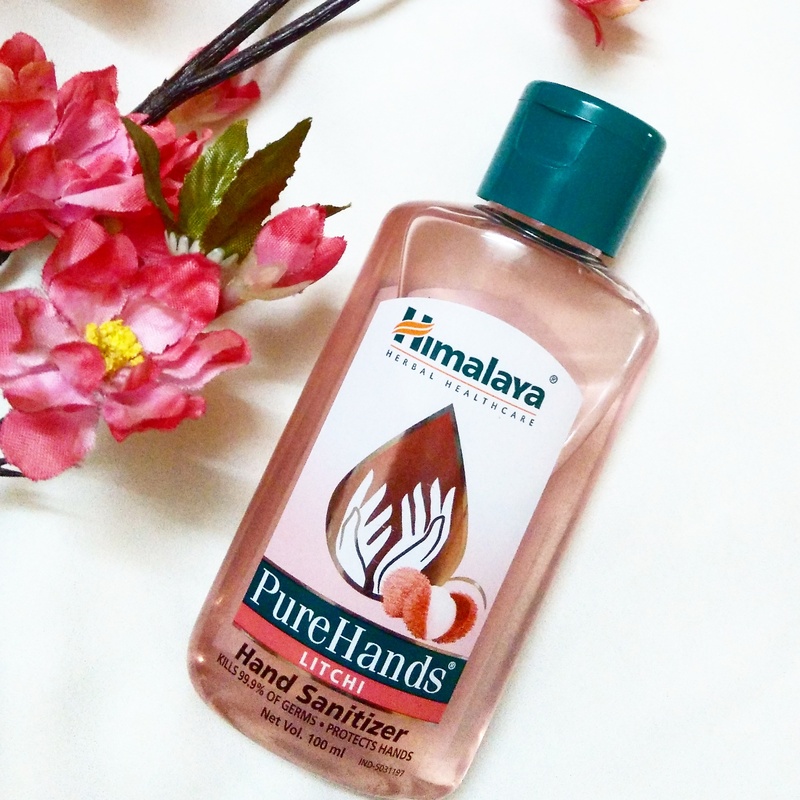 The smell of this cream stays on my fingers for sometime even after washing my hands which i dont like. However the smell is not over powering. I wanted to know whether this cream works on major cracked & dry heels therefore I first made my mom use this cream since she had ugly cracks & tough skin on her heels. Within two days of using it she noticed the difference. Her foot skin felt soft & smooth and the cracks were less visible as compared to before. The tough skin on her heels soften and became less dry. Due to which her heels now doesnt hurts while walking as it use to before. She applies the cream once daily during bedtime and is quite happy with the reults. It also makes her feet look clean and new. 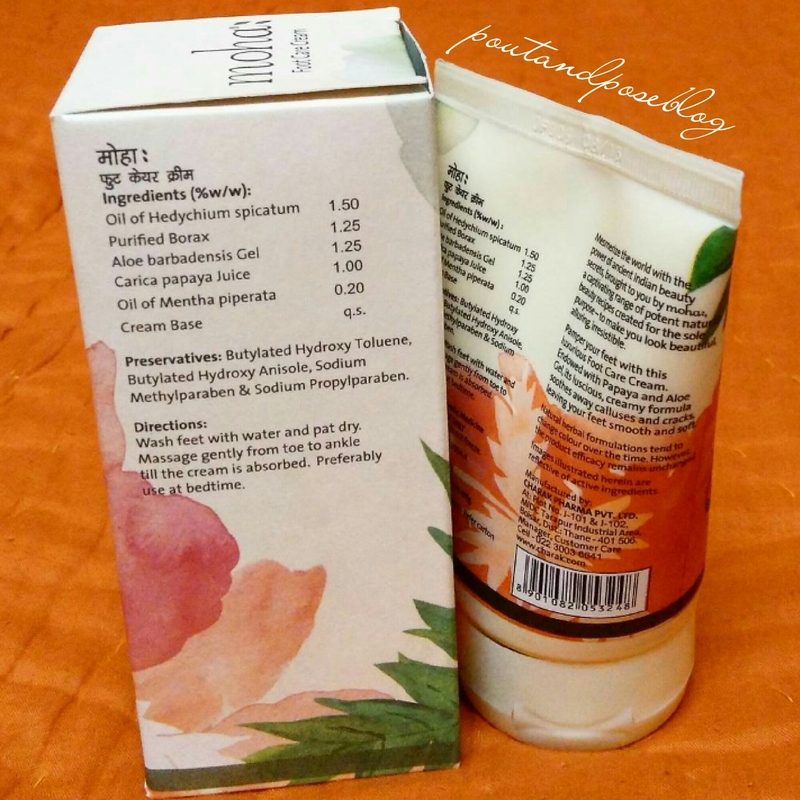 Its a soothing footcream which nourishses & softens hard dry skin. Also its good for daily use and priced decently and from such an excellent brand Moha. I totally recommend it. 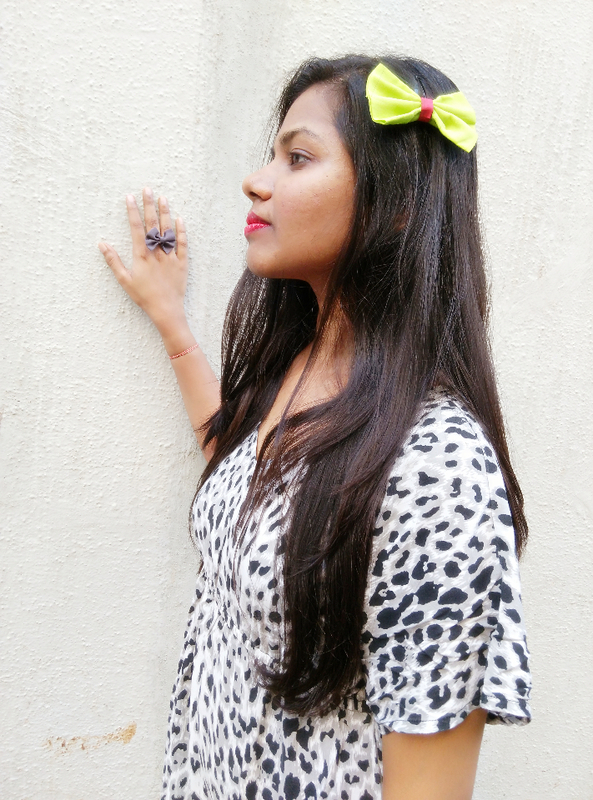 We all love bows…Dont we ? They are fun , pretty and trendy. 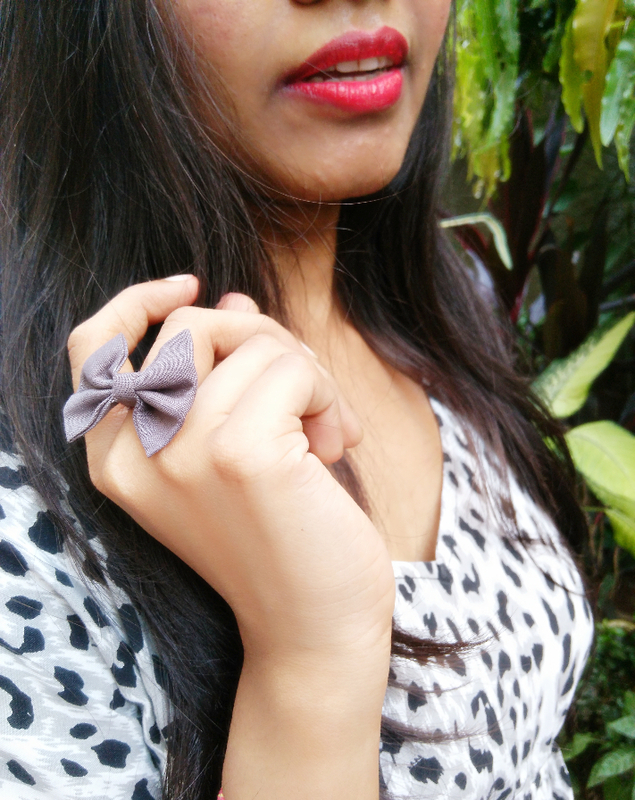 They can instantly make you look prettier, cute and girly☺. I am kinda obsessed with bows. 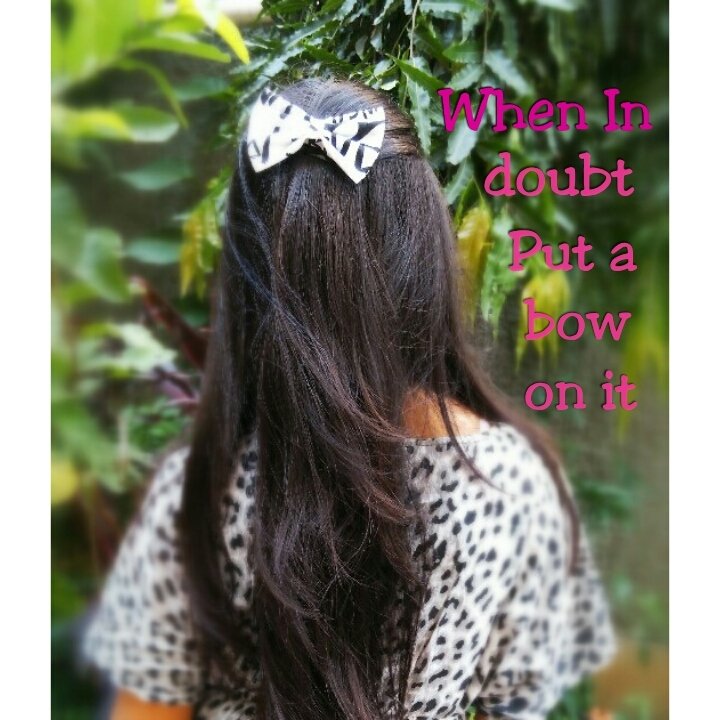 Though i dont wear them very often i have an urge to buy more and more bows whenever i see them in stores .Recently i collaborated with an online store MY_HEIGH_PONY on instagram selling pretty bows. They are based in hydrebad. 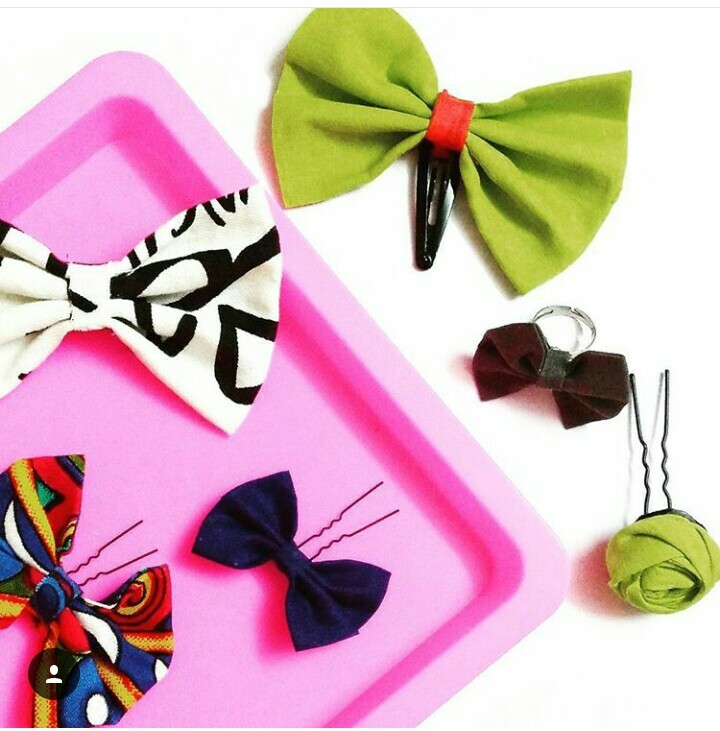 I got some pretty bows from their collection. Let me show you what all i received. 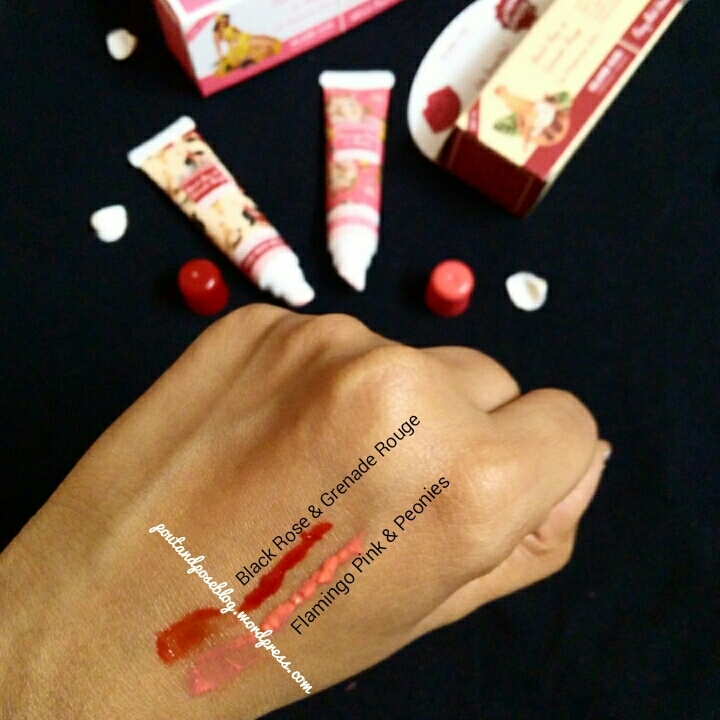 ➡ Repost the giveaway picture which is posted on my instagram profile and tag me and heigh pony and use the hashtags #poutandposexmyheighpony #giveaway #contestalert. Multiple entries allowed.